A stylish and functional tote bag is essential for Fall. Try a chic leather style like Vince Camuto's Dara tote bag, with silver studs and patchwork to add durability and interest. 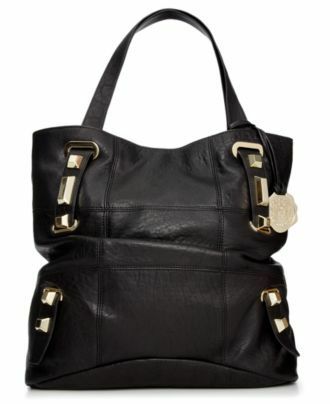 This tote can fit everything for work and weekend, so grab it from Macy's and try it on here, with ViewTry!